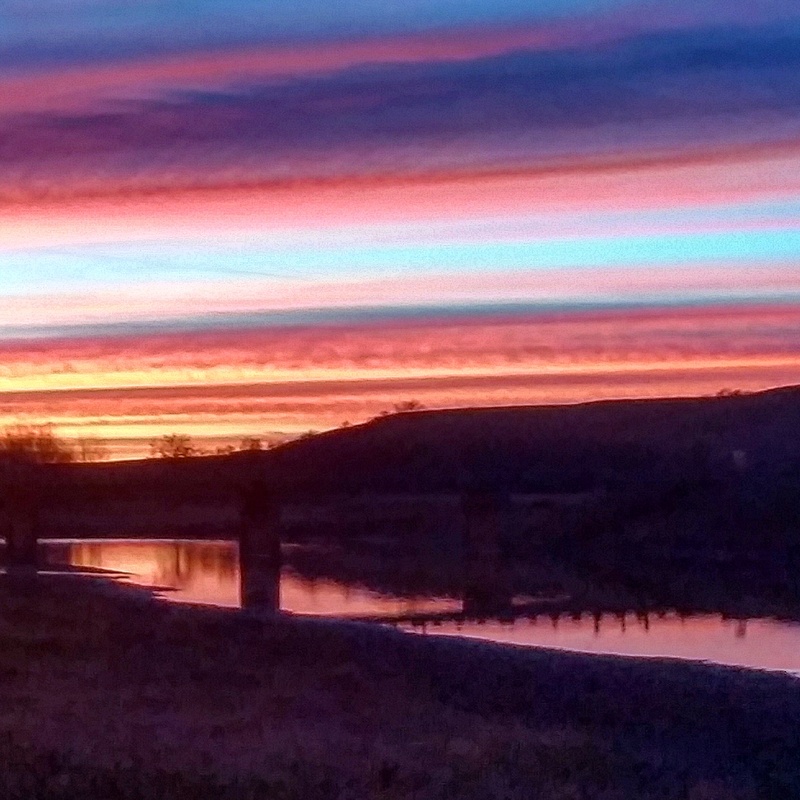 Honestly, I find it hard being back in this plane of existence after experiencing the pure way of life that I found up at Standing Rock. I expected culture shock, but seeing as Taos is one of the wokest places I have ever lived, a community made up of all kinds of healers and mystics, I didn’t expect my heart to be all that divided. I mean, what other small mountain town would fill a huge renovated aircraft hangar in the middle of the desert last night to watch Seun Kuti perform his politically-active afrobeat with his father’s arkestra, Egypt 80? I wouldn’t want to be anywhere else for such a rêvelution of sound. But it feels as if I have left a piece of myself on that southern shore next to the Cannonball River. This piece of self is burning eternally in Rosebud Camp’s Sacred Fire along with the spirits of my ancestors, my native relatives, and the spirits of the Dakota lands. It burns in prayer. A prayer that vibrated throughout me for the eight days that I stood there, chopping wood, sharing tobacco, building winter structures, going out on actions, talking and learning from my relatives, listening to stories told by my elders, feeling hope. For a lot of you, the actions are the only thing you see of Standing Rock. The arrests. The mace and tear gas. The violent police brutality towards Water Protectors. If I thought it culturally sensitive, I would’ve shared more photos of the sense of peace and love present in all of the camps. But even then it’s really something that is better experienced first hand. This sense of peace and love vibrates throughout all exchanges. Not a single word of hate against the police, the pipeline workers, or any other oppressor, but instead prayer for them and their children because this is all of our water for which we defend. The oppression of indigenous cultures is relieved as these people open up to the vulnerability of sharing their spirits completely, trusting that those they share with will be moved deeply towards greater respect and active solidarity. Allowing the descendants of white invaders into ancestral ceremony in order to change all of our futures. The coming together of so many colors in order to fulfill prophecy and overcome the industrial upheaval of our humanity. 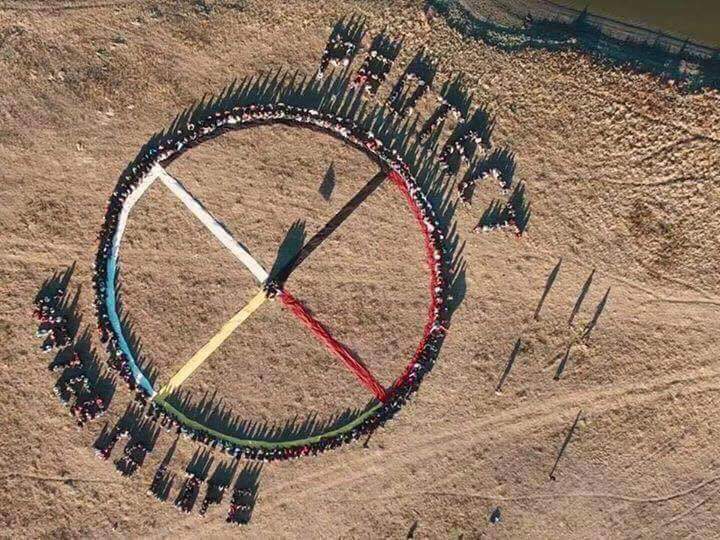 Forming a medicine wheel, symbol of the Rainbow People, tool of healing, holding hands to strengthen our sense of what it means to be human and what it means to be an organism of this Earth. 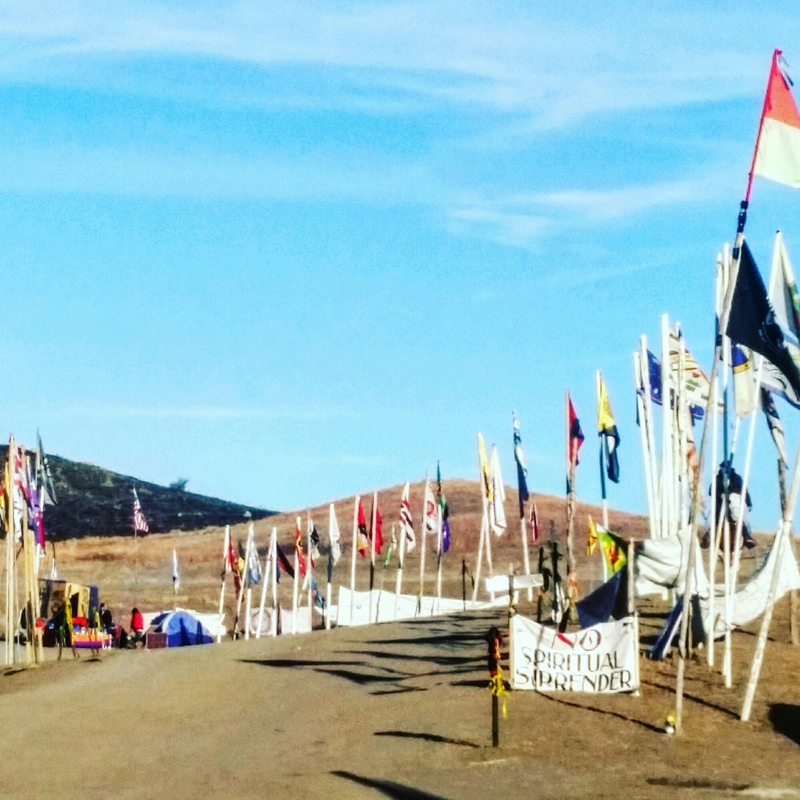 The Water Protectors are not merely building winter structures for the coming snow. They are building a sustainable eco-village where Protectors will not only survive, but they will thrive. The daily hope I felt around camp, was largely a reflection of the nonstop prayer being sung and drummed at all hours of the day. In addition, every action I took there was given this extra context of walking the walk that I’ve often talked. Every camper soon found a purpose. This whole society functioned fully on the hard work of thousands of individuals. For me it was gathering and chopping wood to distribute throughout the camp to different groups like the International Indigenous Youth Council who were too busy leading actions and ceremonies and attending meetings to have time for this on their own. For others, it was providing three meals a day with increasing spirit to a whole camp of hungry hearts. There were folks who organized the donation tent daily. Teams that organized and built structures like a meal hall, an outdoor shower, multiple teepees and yurts and tarpees. I met a group of sustainable contractors from the Appalachia of South Carolina who drove up to offer their services and were tasked with building a winter tool shed for camp. I saw two busloads of separatists from the Cascadian Movement delivering supplies and putting together workshops about how to live with the land cut off from the outside. I heard Food Not Bombs talking about farming in the spring and eco-conscious everything. Even on prayer walks, we all were found picking up garbage in the streets of Bismarck or around camp, so that the land felt renewed beneath our footfall. Health care may not have been provided through private insurers, but the wellness tent, the sweat lodge, the fire worked to heal anyone under the weather. To be in a society where currency is removed and shelter/food/clothing/community are provided allows the individual to grow. The heart no longer feels a repressed sickness from outside forces. It opens wide to its environment. Love comes easy. Gratitude is the highest order of thought. Dreams are manifested in a time of magic. I saw a Bald Eagle fly over our action on DAPL Headquarters. Two Bald Eagles flew overhead during our Veteran’s Day March. Another Bald Eagle followed the car I rode home in as we exited North Dakota. These spirits of the land constantly came forward as if in a waking dream. These shared visions encouraged our ways. The Earth actively voicing its support. Its guidance. Its resilience against extreme adversity. I saw police officers moved to tears. 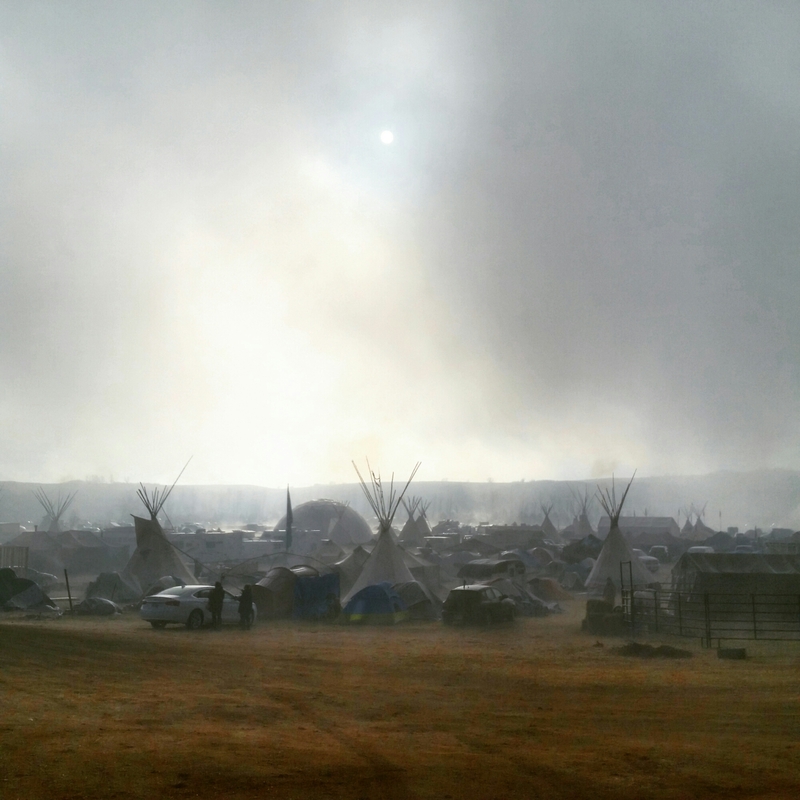 I saw DAPL workers silent in reverence. I saw dialogues that spread across cultural hurdles and expanded already progressive thought patterns. When I say, I was living in the future, I’m not exaggerating. There is just no other way to describe the scenes that I witnessed. In my mind, I constantly revisit my memory of the elder who came to the Sacred Fire in the middle of the night, while I was sitting there in prayer. He said the people who have come to Standing Rock, have come there to learn the ways of their relatives. To learn the ways of the land. To protect their ability to be human beings born of the Earth on which they live. 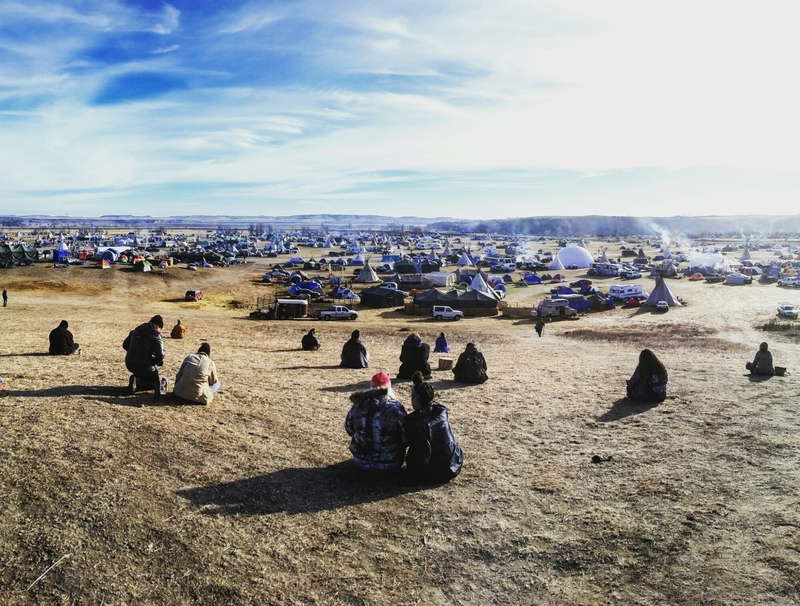 While the majority of the country is stuck in an endless sado-masochistic news cycle of “What Trump said”, the people up at Standing Rock are actively pursuing the future. Not only that, they are creating the future through which we will all continue to not only survive, but soon be able to thrive. As these people, return to their homes, expect this future to spread. Expect that it won’t matter who is president, or Attorney General, or White Supremacist head of cabinet. There is enough movement forward to wrangle in the Black Snake and set us free from its corporate stranglehold of our lives. There is enough movement forward for us all to find a way out. It starts today. Grab your readymade sign or banner. Defend the Sacred Waters. Defend your Community. Hear your voice heard in the streets. Begin with Love and feel the rest of it come forward easily. This new day is rising. We can no longer sit back and watch the present unfold. We must come together and fight for our future.